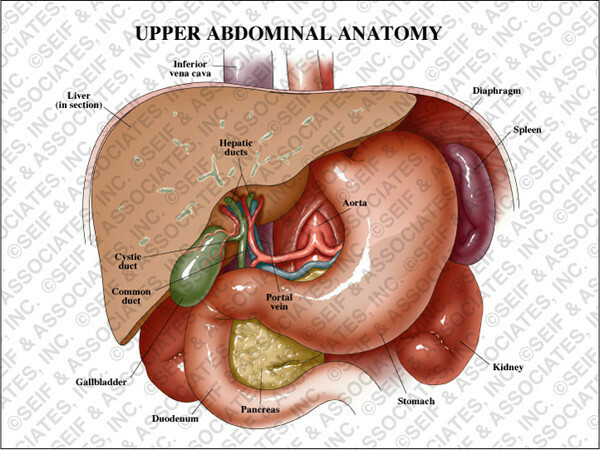 A Doppler ultrasound study may be part of an abdominal ultrasound examination. 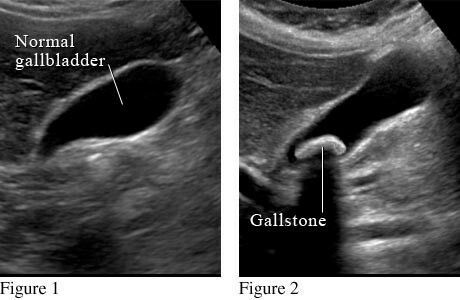 stones in the gallbladder or kidney. an aneurysm in the aorta. Additionally, ultrasound may be used to provide guidance for biopsies. Preparations depend on the type of ultrasound you are having. For a study of the liver, gallbladder, spleen, and pancreas, you may be asked to eat a fat-free meal on the evening before the test and then to avoid eating for eight to 12 hours before the test. For ultrasound of the kidneys, you may be asked to drink four to six glasses of liquid about an hour before the test to fill your bladder. You may be asked to avoid eating for eight to 12 hours before the test to avoid gas buildup in the intestines. For ultrasound of the aorta, you may need to avoid eating for eight to 12 hours before the test. 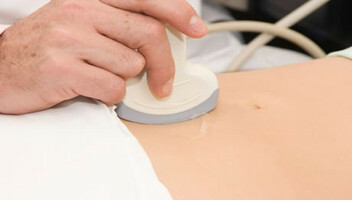 Ultrasound waves are disrupted by air or gas; therefore ultrasound is not an ideal imaging technique for air-filled bowel or organs obscured by the bowel. In most cases, barium exams, CT scanning, and MRI are the methods of choice in this setting. Large patients are more difficult to image by ultrasound because greater amounts of tissue attenuates (weakens) the sound waves as they pass deeper into the body.